CHEEMO Perogies may be browned (approximately 3-4 minutes per side) or boiled (approximately 3-5 minutes) in a rolling boil pot. Perogies are done when they float. Plate the browned perogies. The boiled perogies need to be drained and topped with melted butter or margarine before plating. 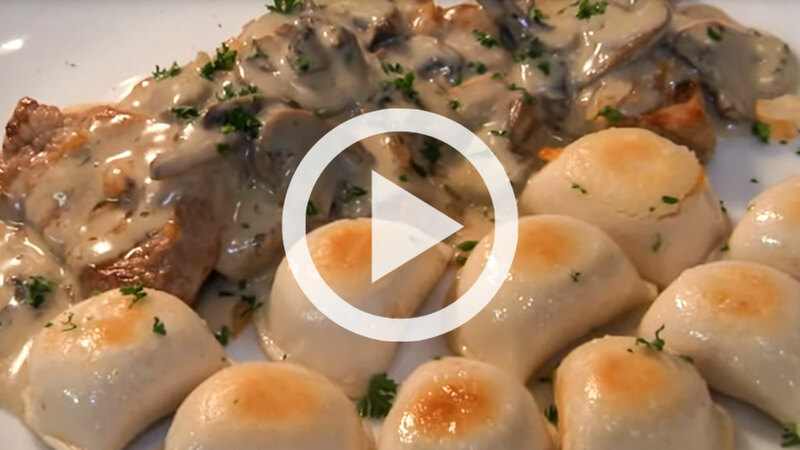 Cook the medallions medium well and arrange next to perogies and top with your favourite mushroom sauce or mushroom soup.